This film is a part of a Double Feature with Night of the Living Dead. When two movies that are screening in the same theatre are grouped under the same thematic heading, one ticket is good for both features when viewed back-to-back on the same day (except as noted). Tom Skerritt, Sigourney Weaver, Veronica Cartwright, Harry Dean Stanton, John Hurt, Ian Holm, and Yaphet Kotto. 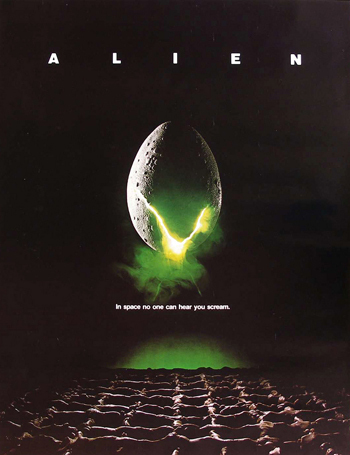 The tagline reads “In space no one can hear you scream,” but just try not to while watching this awe-inspiring classic. The story never stops twisting and turning, with thrills that continue to make jaws drop to this day, and the H.R. Giger-designed alien creature is the stuff that nightmares are made of.